Prickly and Bitter: Shhh. Don't wake the morels! Now, normally I don't have the species status diagrams on blog posts when I blog about mushrooms, because it's so difficult to determine if a species is native to a specific location. 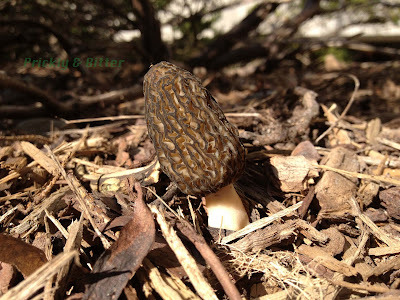 The black morel is one of the exceptions, thanks to a paper published in late 2012. The authors looked at the distribution of the 13 known species of morels and sequenced their DNA to see how species are distributed around the world. What they found was shocking for a few reasons. First, there actually aren't 13 species of morel, there are 65. Just a few that we didn't know about! And second, the distribution of different species of morel is very restricted and always predictable. In eastern North America, black morels are always Morchella angusticeps, but up until 2012 we would call them Morchella elata. Turns out Morchella elata is only found in cool-temperate Europe and nowhere else. The habitat of morels is very similar amongst all species; they are known root associates of decaying roots of living trees. Usually when the tree is cut down the morel species can still exist for a few years but quickly decline in numbers of fruiting bodies (or mushrooms) produced until none are left. The yellow morel is often associated with trees of the rose family, especially apple trees. 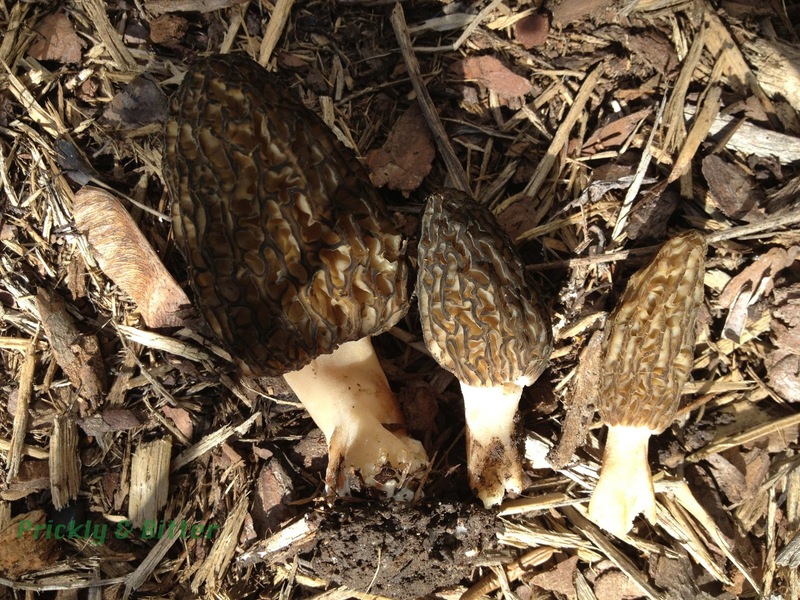 Don't expect to go to an apple orchard to go morel hunting! The catch is that these apple trees must be left alone for years in an abandoned field in order for morels to fruit. There is definitely something to the idea that they thrive in undisturbed areas! 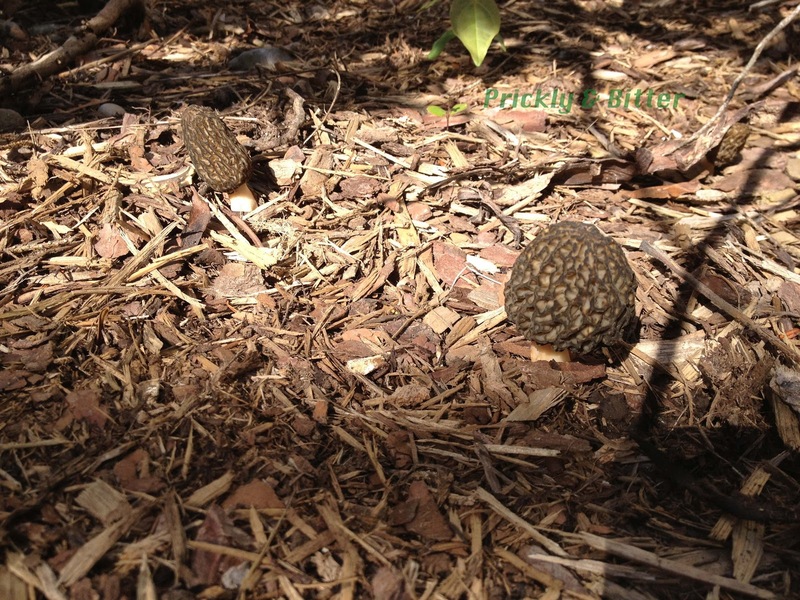 The black morel fruits under hardwood trees. There is another species of black morel in eastern North America that is found almost exclusively in coniferous forests, but now we're finding that this species only occurs north of 44 degrees of latitude! This begs the question: what is the species found in pine reforestation areas south of 44 degrees? Is it the same species as the morel fruiting under hardwoods? For the distributions of each species to be so narrow, I find it hard to believe they would also be habitat generalists. Usually when a species occupies a narrow range they also have adapted to a very specific niche within their range (which is especially true in the fungi). It's not often that I withhold the location of my finds, but if I published where I found these morels I just might be lynched by the mushroom community! 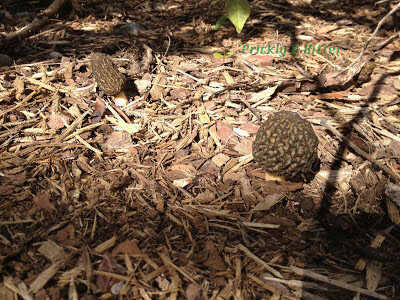 :) It is a general rule that one NEVER divulges the location to morel patches since they are so rare. Morels are a prized edible group of mushrooms, selling for up to $50 per 100g of dried mushrooms in some areas. Wouldn't you want to keep that all to yourself?! 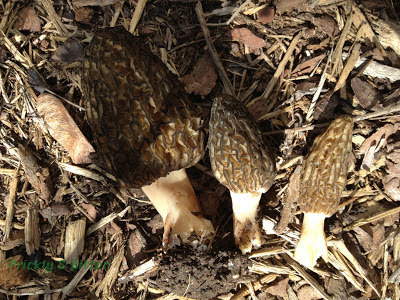 If you want morels you're going to have to find your own secret hunting grounds.